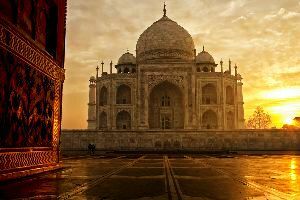 After breakfast morning drive to Agra On arrival check in into hotel, afternoon visit Taj Mahal, Agra fort then Free to enjoy the city atmosphere. Overnight stay at hotel. (Old Deserted town of Mughal Dynasty) arrive and check into hotel Overnight stay in hotel. 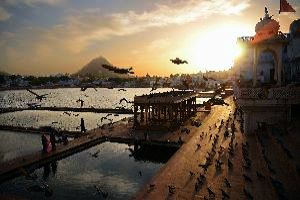 After Breakfast drive to Pushkar – the city of Brahma, on arrival check in into hotel. 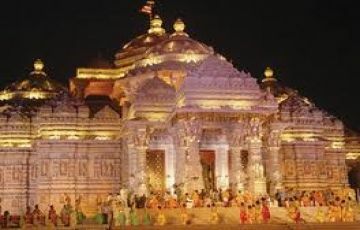 half take a city tour covering Jagat Pita Shri Brahma Temple – The only exquisite temple dedicated to Lord Brahma, and lakes etc. Overnight stay in hotel. 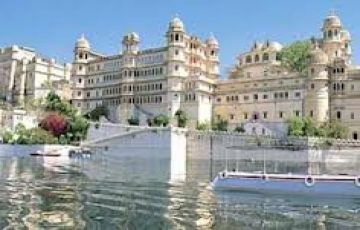 After breakfast morning drive to Udaipur On arrival check in into hotel. Free to enjoy the city atmosphere. Overnight stay in hotel. 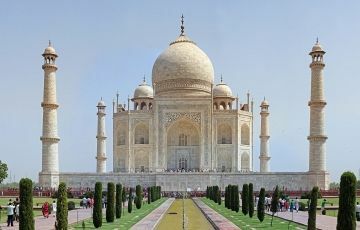 After Breakfast Full day enjoy city tour covering Saheliyon – Ki – Bari – The garden for the maids of honour of the queen. 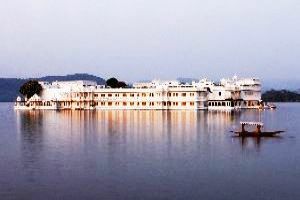 Jagdish Temple – dedicated to Lord Vishnu & approachable by a broad flight of steps, the shrine is a rectangular platform on the lines of Indo-Aryan style of architecture, City Palace – located amidst Lake Pichola, Eklingji & Nagda Temples – built in white marble with a double storeyed porch. Overnight stay in hotel. In the morning drive to Jodhpur enroute visiting Ranakpur temples – the pilgrimage centre of Rajasthan a few of the numerous temples are Chaturmukh temples. The Desert enchantment, arrive and check in into hotel. City tour covering Mehrangarh fort – unsurpassed in beauty & grandeur, it is one of the largest forts in India. Innumerable palaces in the fort, interspersed with sprawling courtyards, are intricately carved Jaswanthada – The 19th century royal cenotaph, a creation in white marble, Clock tower – The timely treasure of Jodhpur. Overnight stay in hotel. In the morning drive to Jaisalmer – The Citadel City, Arrive and check into hotel. Afternoon free to relax or enjoy the city atmosphere. An Exotic little desert town that was once on the caravan route into Central Asia. Jaisalmer is a golden city, of the entire town, its fort, is magnificient mansions and markets are all built out of the rich, golden sandstone typical of the area. Overnight stay in hotel. Morning breakfast at the hotel and visit Gadisar Lake, Jaisalmer Fort and Old Mansion's. In the evening visit Khuri. Camel ride and back to Jaisalmer. Overnight stay in hotel. Breakfast at the hotel and drive to Bikaner. 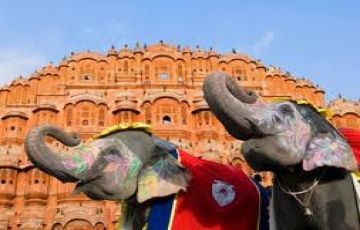 Bikaner is reffered as the Gateway to the Great Indian Deserts. On arrival check in at hotel. 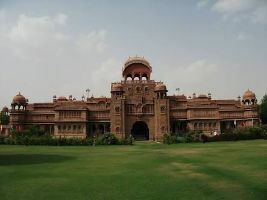 Bikaner was a major trading port between Africa, West Asia and Far east. 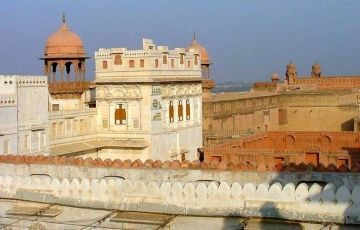 Visit Forts and Lallgarh Palace etc. Overnight stay in hotel. After breakfast drive to Mandawa : a compact little town of Shekhavati region, Arrive and check in into hotel. In the afternoon visit Havelis & beautiful frescoes. The medieval fort of Mandawa gradually rises on the horizon like a mirage. A painted arched gateway adorned with Lord Krishna and his cows leads to the bazaar. Overnight stay in hotel. 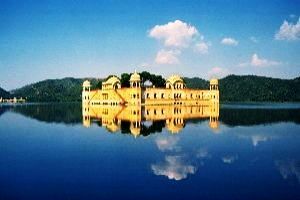 After breakfast journey towards Delhi, Arrive in the evening and Transfer to own your Destination.